The aerial parts of perennial herbaceous plant Mosla chinensis Maxim. or Mosla chinensis Maxim. cv. jiangxiangru of family labiatae. Mainly Produced in Yifen county of Jiangxi Province of China, with large output and good quality. When the stems and foils are prosperous, cut it down. Densely fragrant smell, cool and slightly pungent taste. With dense fragrance, delicate branches with many fringes of flowers. Pungent, slightly warm. lung, spleen, stomach, gallbladder meridians entered. Disperse wind-cold, resolve dampness and harmonize the middle energizer, and induce diuresis to alleviate edema. This herb is pungent, warm and dispersing, and it can induce sweating to release the exterior and resolve dampness of spleen and stomach. 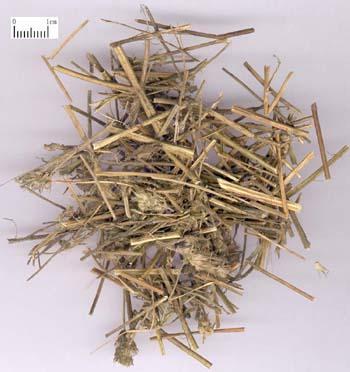 It is always used in common cold due to wind-cold and dampness in spleen and stomach, clinically manifested as aversion to cold, fever, headache and heavy body, no sweat, distending sensation in epigastrium, anorexia, greasy coating, or nausea and vomit, diarrhea. For this syndrome, it is often combined wirh damp-resolving herbs, such as Hou Po, Bian Dou, etc. Xiang Ru San in Tai Ping Hui Min He Ji Ju Fang is a case. This syndrome can be often seen in the patients who like drinking cold water in summer, so ancient doctors called Xiang Ru "the exterior-releasing herb in summer". When indicated for common cold due to wind-cold, it can be used with other wind-cold dispersing herbs. For dampness stagnation in the middle energizer, some dampness-resolving herbs can be added, such as Cang Zhu and Huo Xiang. 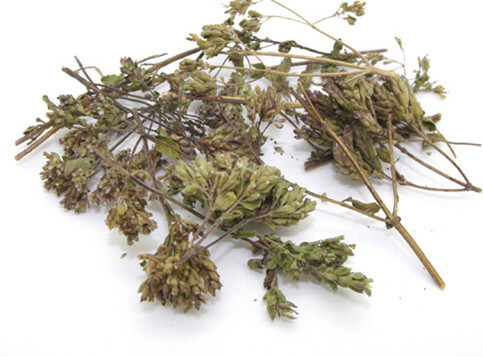 This herb can not only induce sweating to expel the dampness in the skin, but also disperse lung-qi to dredge and regulate the water passage, induce diuresis to alleviate edema. Thus it is also used in edema accompanied by exterior syndromes. It can be singly used or combined with other edema-alleviating herbs. Decoct 6~15g. For inducing sweating, it should be used in moderate dosage and big dosage and long-time decocting should be avoided. It should be taken while being hot for inducing sweating and expelling exterior. For edema, a big dosage decocted densely is wise to achieve the purpose of inducing diuresis and removing edema.